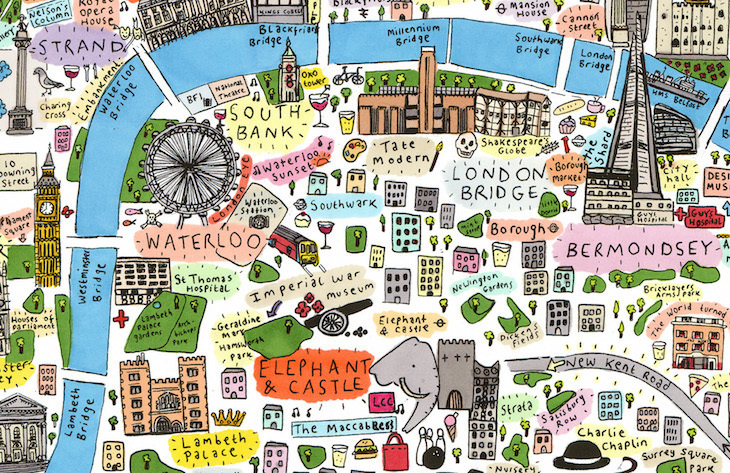 From the lions and flamingoes at London Zoo to a certain bear in Paddington, this map of London goes into astonishing levels of detail. 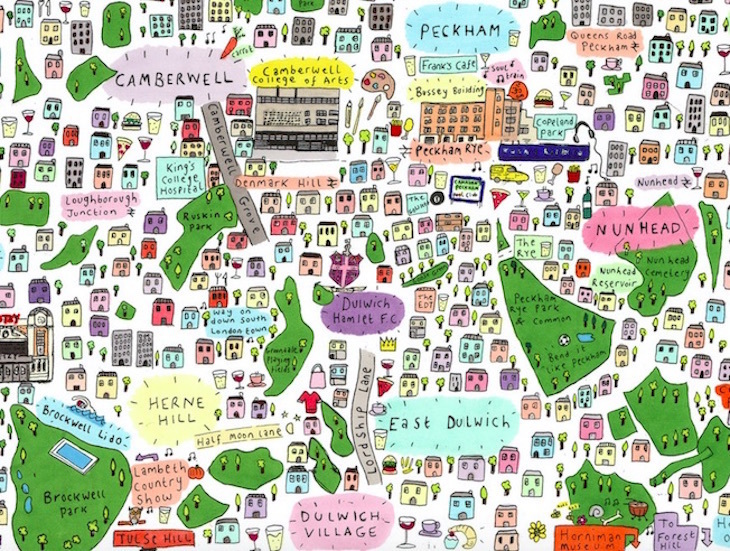 What's more, it covers vast swathes of the city, from Shepherd's Bush in the west to North Greenwich in the east, and Canonbury in the north to Dulwich Village in the south. It's the result of five months of work by artist Cally Lathey, and features both tourist hotspots and lesser-known sights. 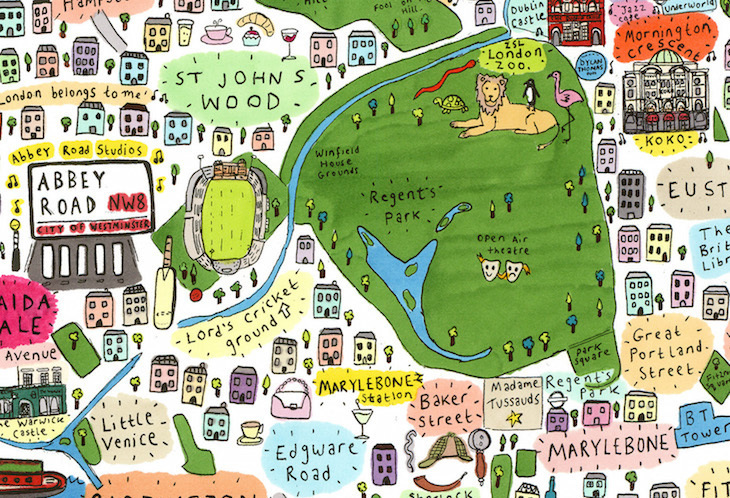 Cultural icons including the Royal Vauxhall Tavern, Union Chapel in Islington and Hackney Empire all feature, and we love the colourful doodles such as the ballet shoes at Sadler's Wells and the peacocks in Holland Park. 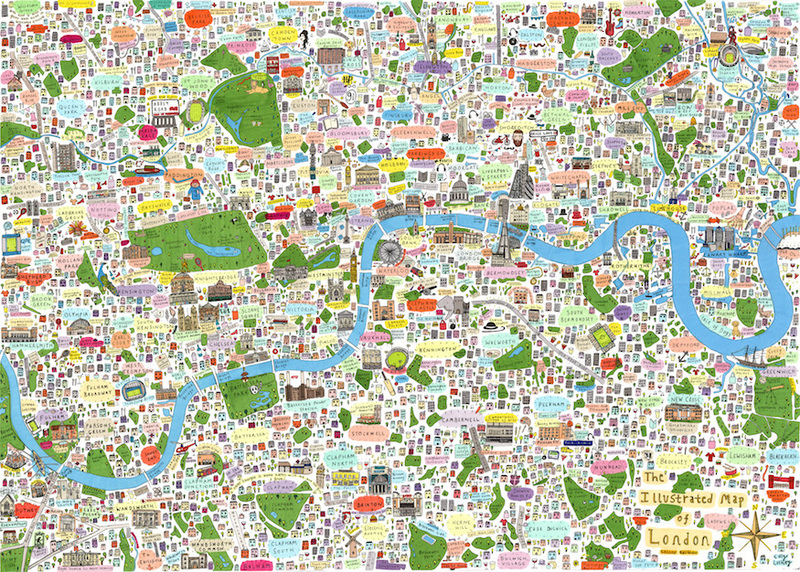 The map is available to buy in two different sizes, with limited edition screen prints also available. See website for details.